Is there any way to still have it work with the localized pages? 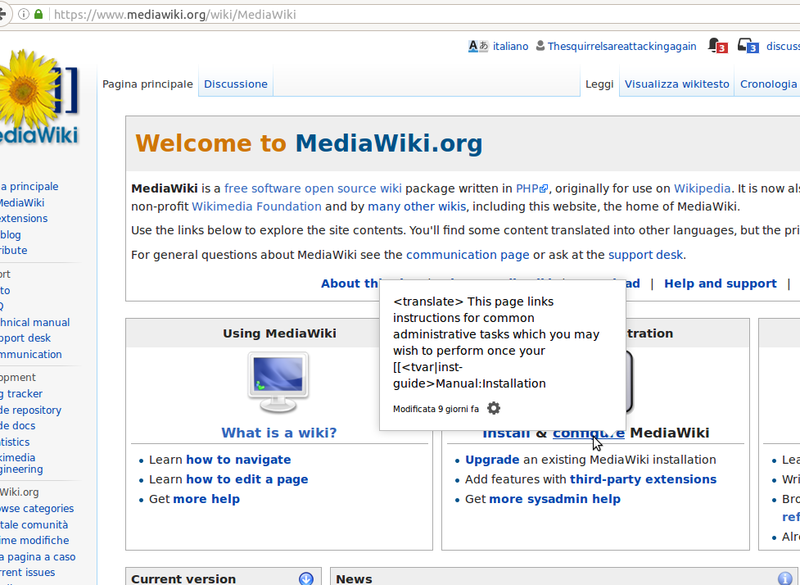 But the link to How does MediaWiki work?/it works fine, so I think it's just a problem with the translation markup on certain pages? I can't determine what exactly is going wrong at the first example. What page(s) are you seeing it at? Re: Special:MyLanguage links, I see those don't work with Navpopups either. I don't think it's possible but just in case I've filed it as phab:T145541. Thanks!